While such an idea naturally won’t appeal to every home-owner, painting the bath can really breathe new life into an old tub and save you some money in the process. Whether you’ve just moved house and the new bathroom needs some attention or your bath is simply looking a little tired after years of extensive use, you can rejuvenate your tub, as well as your entire bathroom, with a few strokes of paint. By choosing this option, you don’t need to replace the bath with a new one and can instead spruce up your current model. Fairly straightforward to do, our guide should make painting your bath both easy and satisfying. Make sure you prepare for the task in advance and never contemplate using normal paint for this project. Also, keep in mind that different types of bath need different attention, although both cast iron and plastic baths always benefit from a good clean and sanding prior to paint application. You want to remove any dirt from your bath’s surface to enhance the finish of the paint, so it’s a good idea to wash it before you begin. You may want to use a specialist bath cleaner to clean the tub or you could just use soap and water. The main thing is to ensure the bath is clean to the touch when you’re ready to paint it. Rinse the tub thoroughly once you’ve cleaned it and allow it to dry completely. You may also need to remove any old waterproof filler on the bath using a putty knife or rust if it’s a cast iron tub, before sanding the bath to ensure the paint sticks to the surface. Before you reach for the paint, first you need to protect the surrounding area. This includes the plug hole, drain hole, taps and pipes as well as tiles and floor. Use masking tape to cover up smaller items you don’t want to get any paint on, and use the likes of dust sheets and towels to protect the floor. Depending on the style of your bath and bathroom you might need to do further preparations – for example, if your bath has a shower head fitted and a glass shower door on one end of the tub to prevent water being sprayed over the side of the bath, you should remove the glass and potentially cover up the shower components too. 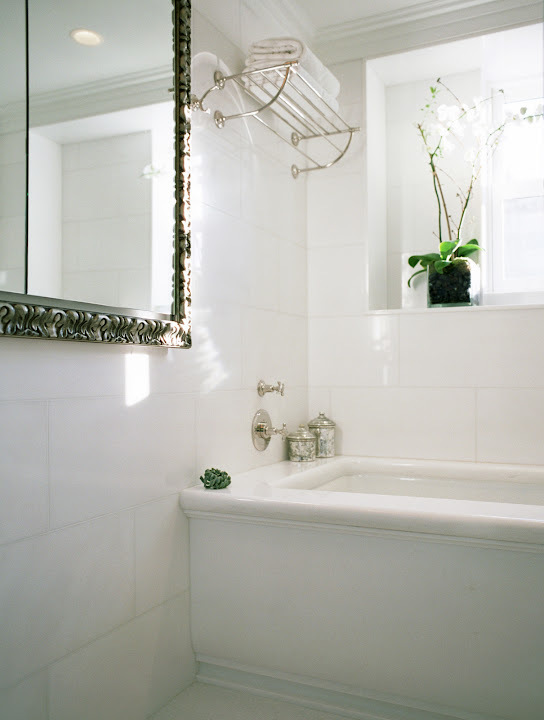 Paint your bath using a two-part epoxy paint that shines and hardens as it dries. You’ll need to apply a minimum of two coats and may want to add three, making sure the paint is totally dry before applying the next coat. It’s your choice whether you use a brush or roller but you may want to use a brush too if you go with a roller, for those trickier corners and fiddly parts that demand precision. Depending on your bath type, you might need to apply a top coat to prevent chipping. Always read the paint instructions before beginning, and check how long you need to wait after you’ve finished painting before you can use the bath again. All you need to do then is look forward to enjoying an as-good-as-new bath tub.